This is another project designed and fabricated for a live auction that benefits KinderFrogs School at TCU. It's a stand that doubles as a lemonade stand for money-making on sunny days and a puppet stand for entertainment on rainy days. And like nearly all Klevr items, it assembles without any tools or fasteners. 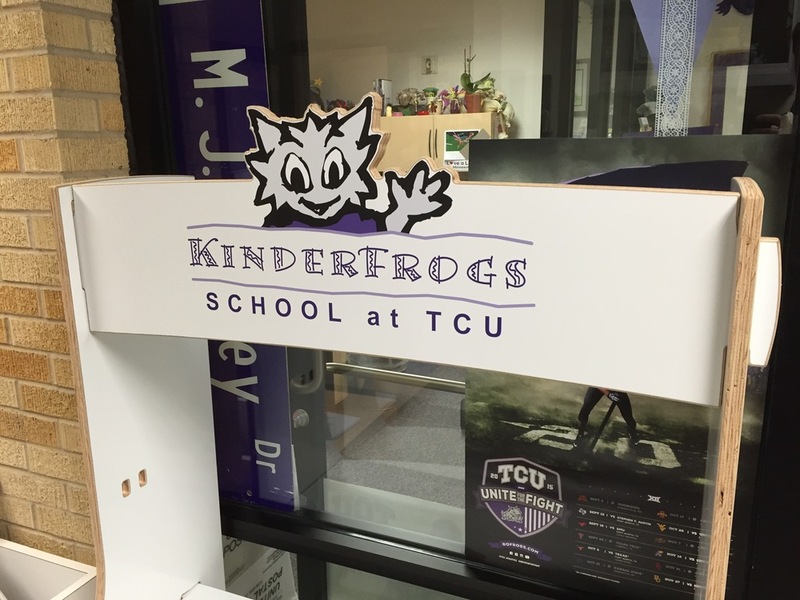 The banner board is reversible, and on the KinderFrogs version here, we printed and cut vinyl labels to put the school logo on one side and a lemonade graphic on the other. There is a set of cut-and-sew purple curtains that hang on a rod behind the banner board, and small cut-outs in the side panels for tying back the curtains to start the puppet show.